A new state license plate will add more than color to California vehicles. 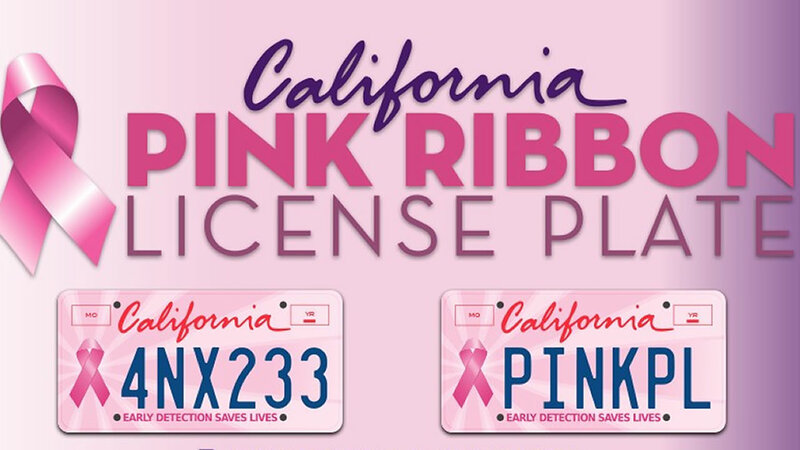 The plate includes a pink ribbon for breast cancer awareness, and the slogan "early detection saves lives." The plate was championed by a group of breast cancer survivors known as the Survivor Sisters. They want the plates to be a constant reminder of the importance of screenings. "Get people to go and have exams and not wait," said Chere Rush, a breast cancer survivor. "I had a lump that I ignored for several months, so by the time I went I found out I was stage four. So our goal is not to have other women go through that." Part of the registration fees will fund breast cancer screenings. California first needs to receive 7,500 pre-orders before it will start printing the plates. Orders can be made at pinkplate.org.